I’m more than halfway through my solo travel trip in Thailand, and so far, it has taught me a lot. There is a particular life lesson that I’ve really learnt this past week, and I thought I would share it with you. As the title suggests, what I’ve learnt, and am still learning, has everything to do with validation. I’ve always looked to others for validation for a variety of things. Whether my friends also liked a particular band, if my parents also liked a specific restaurant, if my peers were also struggling with a certain assignment. I always looked to others to see if what I was feeling, what I was interested in, what I though, was okay. If they also liked those things, because I always wanted to be part of the “norm”. I think this is something most people go through; finding your balance between wanting to fit in and doing what you love to do. Travelling alone has taught me that I really don’t need anyone’s validation to enjoy or think the things that I do. For example, last night, I witnessed the most amazing sunset. I was sitting alone of the beach, listing to some good music on my iPod, and enjoying nature for what it is. I know that that sunset was one of the prettiest I’ve ever seen, but there was no one with me to agree, to reiterate the beauty of the sunset. It was just me. That doesn’t mean the sunset didn’t happen, that it wasn’t stunning, that because I witnessed it alone, it was insignificant. I know what I saw, and what I think about it, and that’s all that matters. We often hear upon growing up that “we shouldn’t care what others think”. I’ve given up my opinion to fit with the masses on countless occasions in the past. It’s often very small simple things. For example, if I were to go out with a group of friends for dinner and really enjoy my meal, I would ask “that was so good, right?”. If my friends then replied saying they didn’t really like it, I would change my opinion, say that they were right, it wasn’t actually that good. But why? Why is it that because my friends couldn’t validate that my meal was good, I then also agreed it wasn’t good, even though I really enjoyed it? I guess I didn’t want to stick out, be that one person with a different opinion. Of course, this example is rather simple. But the truth is, people do this everyday; they change the most integral parts of their identities because others can’t validate them. I’ve vowed I’m going to change. I know that sunset was beautiful, I know that the curry I had for dinner last Tuesday was delicious, I know that Thailand is one of my favourite countries, and I know that I’m happy at the moment. I know these things, and I don’t need anyone to tell me that I’m right, or wrong, or that they agree; I know, and that’s enough. I’m hoping to extend this motto to my life when I have finished with this trip. I hope to come back with the confidence to do, feel, think, wear, listen to whatever I want without looking for social approval. The day I reach this point in my life will be a happy one. 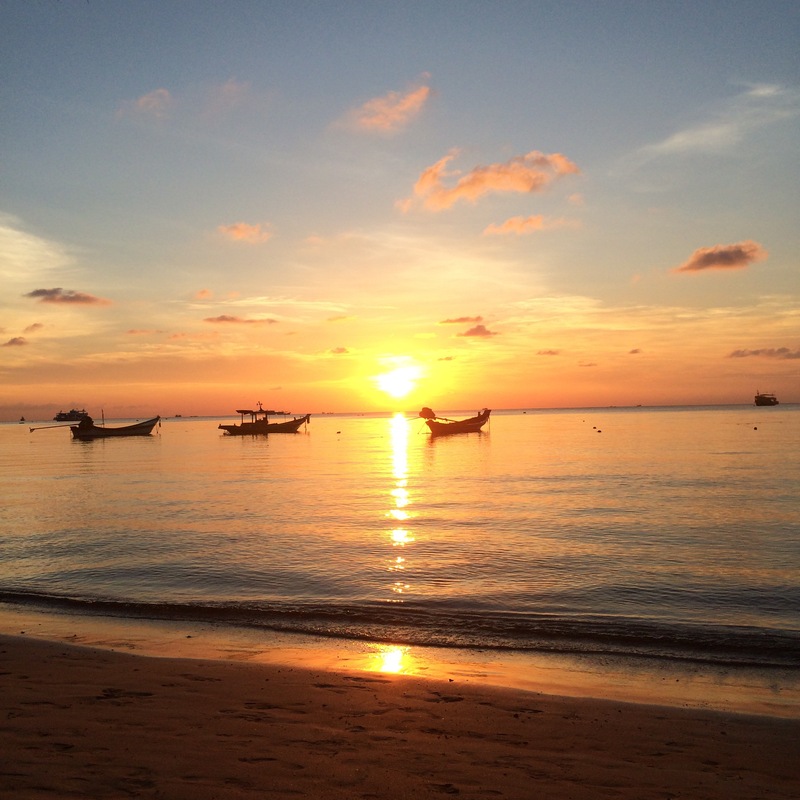 The Solo Travel Series: Thailand (Diving in Koh Tao). Great post and great photo!